Now, I don’t know if someone else has done a combination pack of Ritz Bitz cracker sandwiches and mediocre meat, but I can tell you that it’s not special. At all. I mean they’re both two fairly unremarkable products. Buttery crackers with shelf-stable cheese and oily shelf-stable meat. Nothing special there. 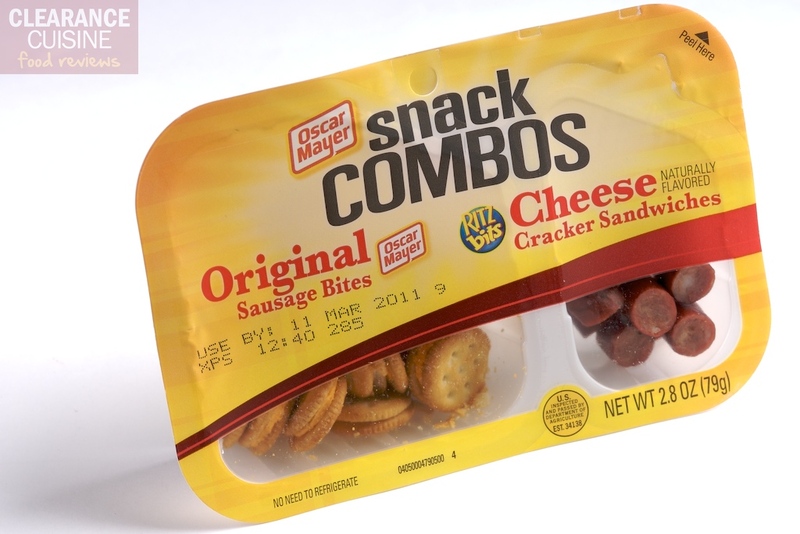 There’s also nothing particularly special about pairing meat with crackers with cheese. Heck, throw in a little juice box of boxed wine, and you’d have an all-American take on a French classic. As I do for most of our other products, I try to research each product a bit before I write (college memories come flooding back). I shot an e-mail to Kraft, Oscar Mayer’s parent company about locating a specific product page for their Snack Combos. A charming rep by the name of “Maximillian Popielarski” let me know that unfortunately there was not one at this time, but that I should add their site to my favorites and keep checking back for future updates. I know I’ve reached the low point of my life when I’ve bookmarked Oscar Mayer’s website and fervently monitoring it for new additions. Currently, it seems the only place I can find any info are scores of coupon/mommy blogs advertising a $1/2 coupon for these, so I’m gonna put the MSRP at around 75 cents – $1.00. For the record, I paid 33 cents. 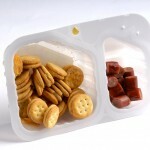 Cheese Ritz Bits and some low quality sausage bites, Oscar Mayer combines a small amount of each into the perfect snack. It’s 390 calories – sadly, less than a Pepperoni Pizza Lunchables (meant for children). When you think about it, this product is a sad, unhealthier adult equivalent of Oscar Mayer’s Lunchables. 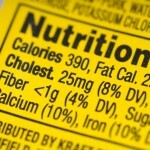 If your diet already consists of salty, processed, non-refrigerated food products, then by all means, go nuts. Or should I say crackers? This entry was posted on Wednesday, March 23rd, 2011 at 9:00 am	and is filed under Food. You can follow any comments to this entry through the RSS 2.0 feed. Both comments and pings are currently closed.